love that blue striped one. so precious! 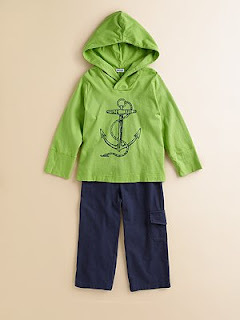 That anchor romper might be the sweetest this I have seen! Too adorable! If only I had one to buy this stuff for! 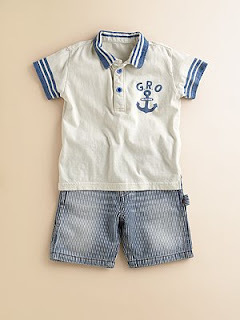 Is it too early to start thinking about dressing kids that aren't going to happen for another 3 or 4 years? Hmm-mm- thank you for this. As I'm sure you remember, and of course I'll remind you from time to time (hee-hee), I'm going to be a grandmother. I think these would be adorable on my little Peapod, as he/she is affectionately called. These are so cute they could *almost* prompt one to find a little cutie to give them to! And congrats on getting the cruise set up, you so totally deserve it! 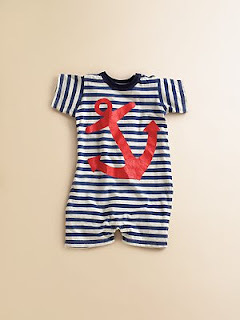 I want to be a baby again so I can wear that anchor romper! I love, love, love, the green hoodie. I want one for myself!!!! I also love your profile Anchor!! Those are adorable! My favorite is the middle one. this makes me want to have a kid. LOVE it!!! !